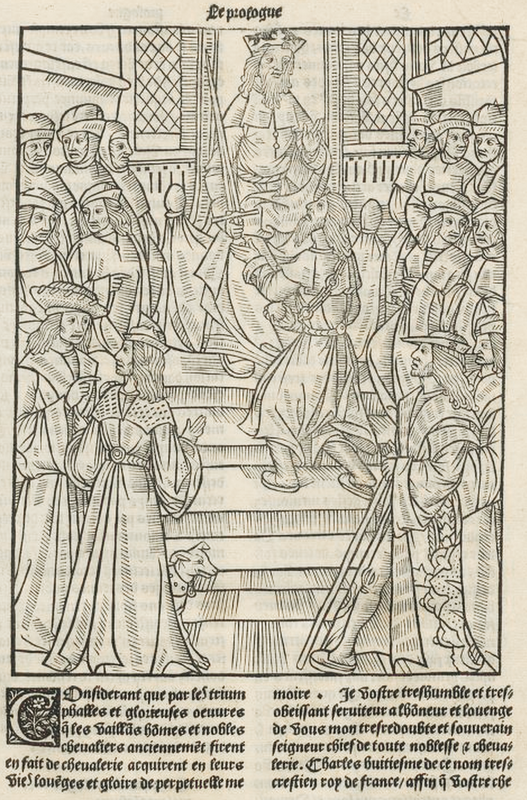 Le premier [second, tiers] volume de Lancelot du lac. 3 vols. in 1. Paris: Michel and Philippe Le Noir, 1513–20. Illustrated. Three catalogue clippings about the book tipped in at back of book. Provenance: Adolph Audinet. — Morris. — Richard Bennett. — Sotheby 1898, lot 747 (sold to Hayley for £13). — Hayley. — Robert Steele. — May Morris [gift from Steele?]. — Oxford University [bequest of May Morris]. — Society of Antiquaries of London (Kelmscott Manor). Reference: Ellis valuation fol. 19b, no. 245 (£30).